We’ll prepare your mouth by inserting a bite guard into it and placing a resin barrier on your gums. This ensures that the whitening gel will only touch your teeth and no cause any irritation to the soft tissues in or around your mouth. We’ll apply the whitening gel and let it sit on your teeth for about 20 minutes. Unlike other bleaching systems, Opalescence doesn’t require the use of any special lights or lasers, which can dehydrate teeth and increase sensitivity. 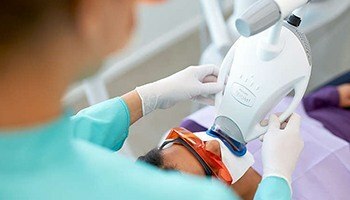 We’ll suction off the whitening gel and use a shade guide to see how much brighter your teeth are. If necessary, we’ll apply the gel again and let it work for another 20 minutes. We’ll talk to you about take-home whitening options that will help you maintain your dazzle. You can use our take-home whitening kits as a way to maintain the results of your in-office treatment, but you can also use them as a standalone way to brighten your teeth. We’ll help you put together a Opalescence kit that will have customized whitening trays and a bleaching solution in a concentration that is right for your circumstances. We’ll coach you on how to use your kit to get the dramatic results you want in a way that is safe for your teeth. 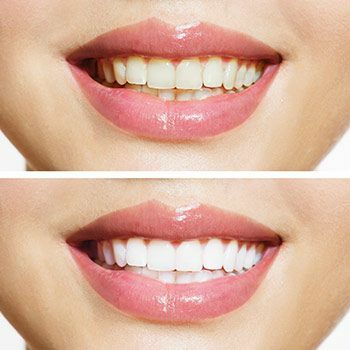 Using either of our available whitening avenues is a superior option to relying on OTC bleaching products, most of which only address stains on the surface of teeth. Opalescence breaks up stains that are beneath the enamel, leading to an amazing look that can last for years. Your teeth whitening journey starts when you contact us and schedule a consultation in our office. We’ll have to make sure that your teeth are healthy enough for the treatment you want, and we’ll discuss any issues that might interfere with the efficacy of your brightening procedure (for example, if you have dental bonding on your teeth, it won’t respond to bleaching). We might also talk to you about other cosmetic dentistry options, such as veneers, that can do more than just change the color of your teeth. Once we decide that Opalescence is right for you, you can truly start to get excited about the head-turning smile that is about to yours! Zoom! Whitening in an easy, comfortable procedure that whitens your teeth in multiple sessions that add up to less than an hour. We apply a layer of gel to your teeth, then activate the light that begins the whitening process. Rather than sitting in the chair for a long period of time, this process is done in 15 minute increments. Just like that, you have the whiter, brighter smile you've been looking for that will last for years to come!